The big changes in last year’s CMP competition rules concerned the modernization of CMP pistol rules. The definition of a Service Pistol was expanded to allow the use of a broad spectrum of military-type pistols in CMP EIC and National Trophy Matches. In what proved to be a very popular new pistol program, the 2015 rules established 22 Rimfire Pistol EIC Matches and Distinguished Badges. Eleven competitors earned the new Badge in the program’s inaugural year. 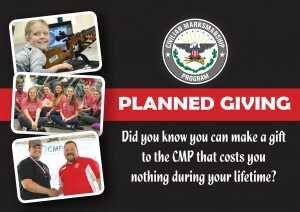 The objective of these changes was to increase participation in CMP pistol programs. 2015 increases in Pistol EIC Matches and competitor numbers affirmed that this objective was being reached. As a result, there was no need for further pistol rule changes in 2016. The most important 2016 CMP rule change is the legalization of 4.5X maximum optical sights for Service Rifle shooting. 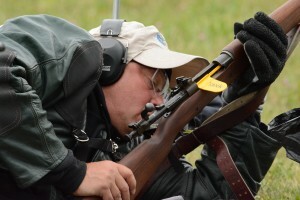 Service Rifle competitors can begin to use service rifles configured like this rifle in 2016. 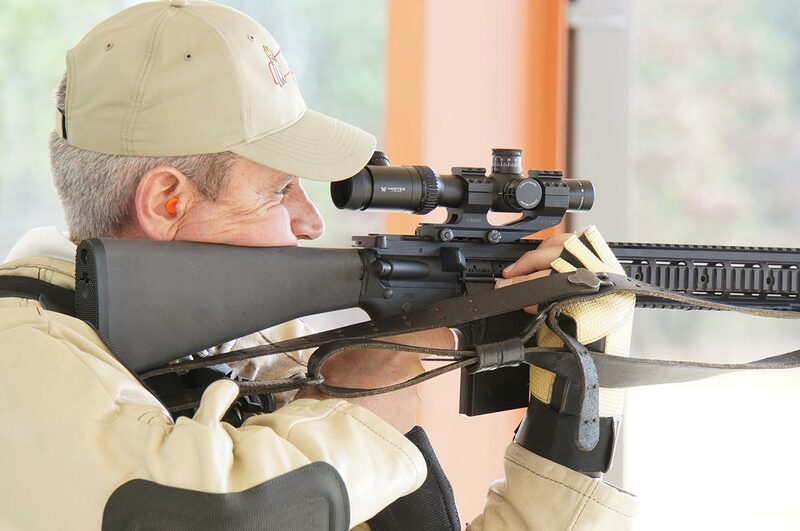 The big rule changes in the 2016 CMP competition rules concern the modernization of CMP Service Rifle rules. Starting in 2016, Service Rifle competitors will be able to choose between service rifles with traditional metallic sights or rifles with telescopes with a maximum of 4.5X magnification. This rule change was coordinated with a similar rule change adopted by the NRA. Quad rails or similar hand guards are permitted, but the front sling swivel location must be fixed at 13 inches (+/- ½ in.) ahead of the forward edge of the magazine well (8.0 inches on M4 configured rifles). The CMP released a preliminary announcement about 2016 rule changes that were under consideration by the CMP Rules Committee in the Oct 22nd edition of CMP Shooter’s News Over 100 written (email) comments were received and reviewed by the Committee. A substantial majority supported allowing optical sights and the broadening of the Service Rifle rule. The one rule change that most shooters opposed was a proposed weight limit for Service Rifles with optical sights. After considering these comments, the CMP Rules Committee decided to reject the Service Rifle weight limit proposal. In 2016, there will be no weight limits for Service Rifles, whether they have optical or metallic sights. Many comments submitted to the CMP supported the idea of offering separate categories for service rifles with metallic and optical sights. That was a topic of much debate by the Rules Committee, but the arguments for having one unified competitor category competing together for EIC points and Distinguished Badges prevailed. Having separate categories and one Distinguished Badge would have created nightmare administrative challenges. 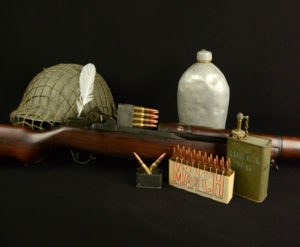 Having two categories and separate Distinguished Rifleman Badges for optical and metallic sighted rifles would have become a formula for diminishing the prestige of the traditional Distinguished Rifleman Badge. 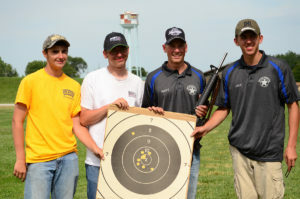 The final CMP decision was to keep one strong, unified Service Rifle event instead of two smaller categories that likely would compete with each other for prestige and participation. 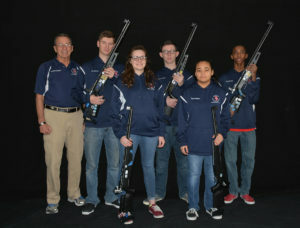 In the end, it was hard to envision any real benefits to having two President’s Rifle Match winners or two National Trophy Team Match winners. Competitors who will compete in CMP sanctioned competitions in 2016 or match officials who will organize them are encouraged to download their personal copies of the 2016 CMP rulebooks. Rulebook copies can be retained in a handheld device or used to print personal copies. 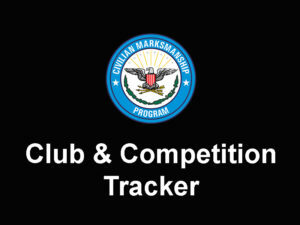 The 2016 20th Edition of the CMP Competition Rules for Service Rifle and Pistol is posted at http://thecmp.org/wp-content/uploads/Rulebook.pdf. 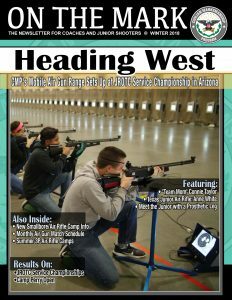 The 2016 4th Edition of the Competition Rules for CMP Games Rifle and Pistol Matches is posted at http://thecmp.org/wp-content/uploads/CMPGamesRules.pdf. For 2016, the new service rifle definitions and restrictions were purposefully kept at a minimum. Rather than try to define too many details now, the Rules Committee decided to let 2016 experiences define where there are real issues that will require further definition in the future. Competitors should always feel free to ask questions or offer further comments by contacting CMP Competitions via email at [email protected]. Here is a typical firing point set-up for shooting service rifles on the CMP Talladega Marksmanship Park highpower rifle range. 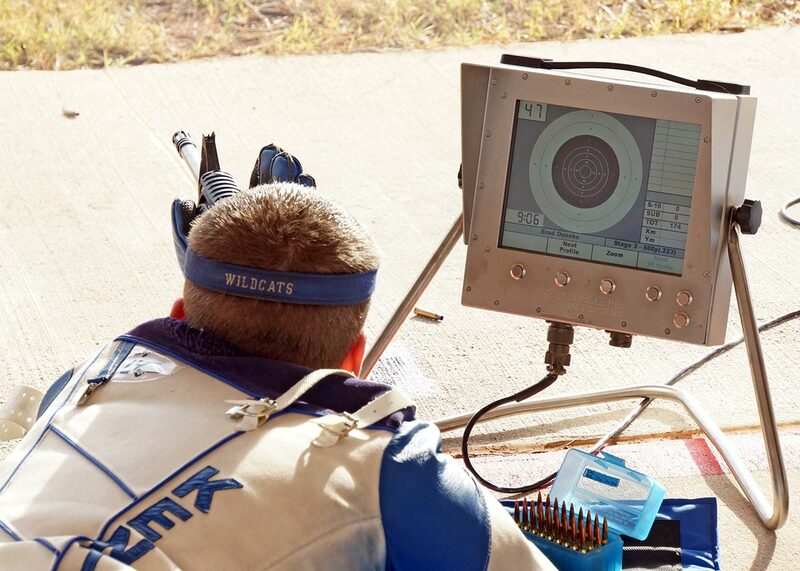 Competitors’ shot locations and official scores are indicated on their firing point monitors immediately after each shot. The rules that were just released include, for the first time, new CMP rules for electronic targets. 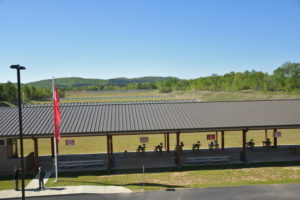 For the moment, these rules apply only to matches conducted at the CMP Marksmanship Park near Talladega, Alabama, but that will change in the future as more ranges switch to electronic targets. For 2016 competitions on the Talladega electronic target ranges, the CMP will place backing cards on the rear of all targets. This will enable match officials to quickly decide protested shots and any claims for missing shots. Backing cards were used during the Talladega 600 matches in early December and although there were several score protests, the original electronic target indications were verified in every case when the backing cards were removed and inspected. 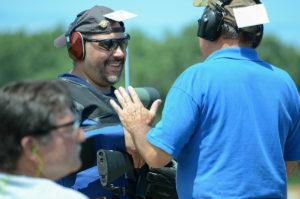 In addition to using backing cards on the rear of the targets, the new CMP electronic target rules will require that verifiers observe each firer to confirm shots fired and scored and to assist if there are crossfires or missing shot claims. Each of the two rulebooks will now have an Annex titled “2016 Electronic Target Scoring Rules” that provide step-by-step procedures for dealing with protested shot values, claims concerning missing shots and unclaimed or extra shots. In keeping with past practice, all substantive changes in the two 2016 rulebooks are identified with unlined texts. As reported in the preliminary rules announcement in October, there were only a few other noteworthy 2016 rule changes. 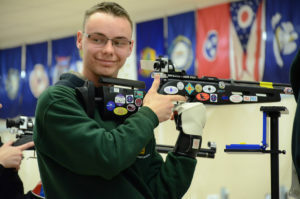 The threshold age for being able to start CMP Games rifle rapid-fire stages in position was moved to 70, but competitors with physical disabilities can start in position regardless of age. 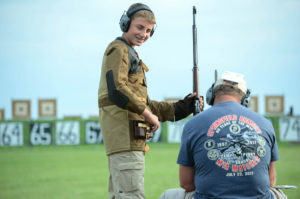 The one new caveat is that competitors in all CMP Games Matches including Rimfire Sporter who start in position can be senior class winners, but not match winners. CMP Achievement Award Scores are updated annually, but there were no significant changes in these cut scores except for Service Pistol and 22 Rimfire Pistol scores. There is an important rule change to also allow 4.5X maximum optical sights for Modern Military Rifles that are governed by CMP Games Rules. New Pistol Range Officer scripts are added to the Service Rifle and Pistol rulebook so now there are Range Officer scripts in the applicable rulebook for use in conducting all CMP events. The CMP extends its best wishes to all competitors and match officials for a great 2016 shooting year. Well done Gary. Thanks for all your hard work. Thanks much to whomever advocated for the optics. This will make it worth my while to start shooting again.